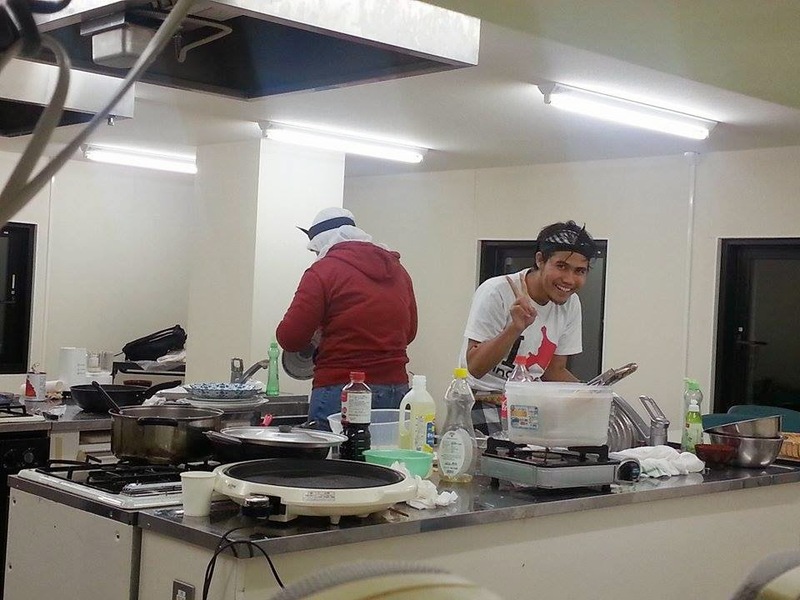 Ecube (E3) Cooking Competition 2014 | PARE MEMBERS' CHAT ROOM! On Friday, 12 December 2014, Indonesian team participated in the cooking competition held by e3 (Engineering English Education) student organizer. Indonesian team member were Isma Rosyida (Faculty of Letter), Doddy Juli Irawan (Faculty of Environmental Science), Shofa Rijalul Haq (Faculty of Engineering), Dhina Fitriastuti (Faculty of Environmental Science), Muklish Jamal (Faculty of Environmental Science) and Fadhila Shanaz (Faculty of Engineering). 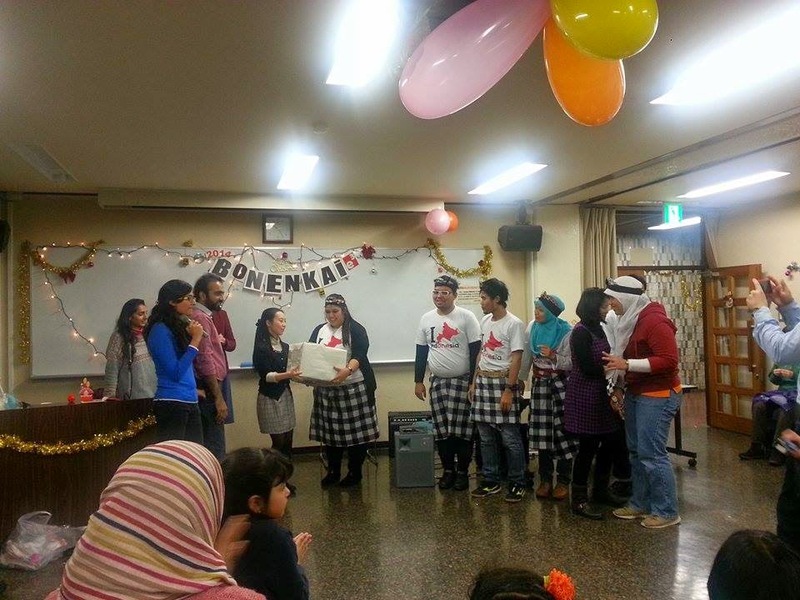 This cooking competition was a part of the year end party or usually called Bonenkai in Japanese. A Bonenkai (忘年会) literally means forgetting the year gathering. It is a Japanese party that takes place at the end of the year. The purpose of the party is to forget the misery, adversity, sadness and troubles of the past year, then hopefully look forward to the New Year. It was held in Clark Kaikan, 3rd floor, cooking room, the North part of Hokkaido University, Sapporo City. Instead of cooking competition, there were magic show, music performance, and several games. There were approximately 180 people in the Bonenkai, including students, alumnus, professors, and general participants. 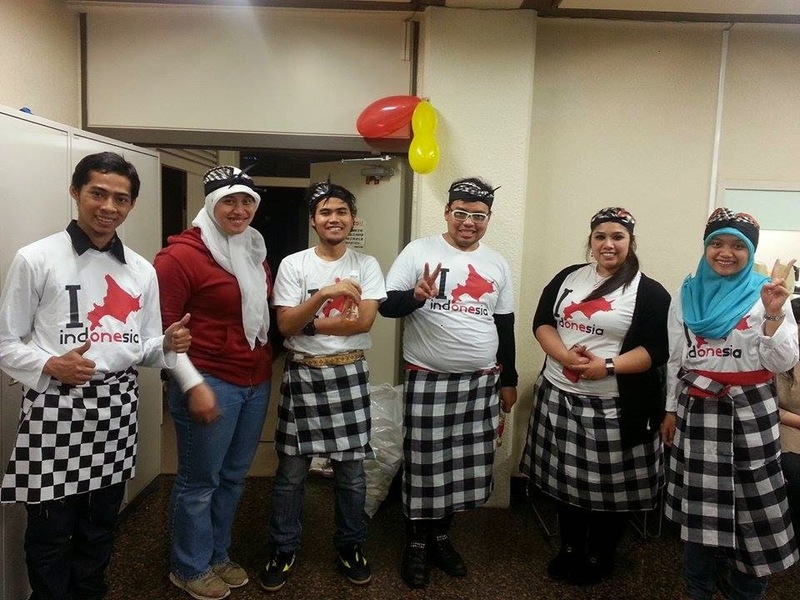 Cooking competition in this year was participated by five teams representing their countries including Bangladesh, China, India, Pakistan, and Indonesia. All teams tried the best they can. They served the most delicious food or dish that originally from their countries. 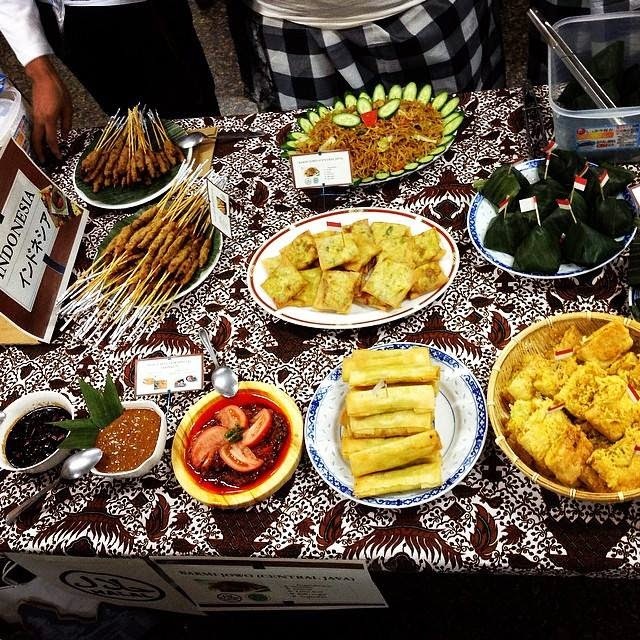 In this opportunity Indonesians team introduce and served several food from Indonesia’s main islands, Java Island and Bali Island. The foods are as follows; Nasi Liwet (Rice from West Java), Sate Lilit (Balinese Sate), Tahu Brontak (Tofu from East Java), Bakmi Jowo (Noodle from Central Java), and three types of special “Sambal” chili sauces. During the cooking competition, all participants were enthusiastic because this competition was judge by all participants who were coming at Bonenkai. Therefore all participants could taste all the foods, and then they wrote down their assessment on a piece of paper which was provided by committee. The assessments were not only about the taste, but also other parameters including the presentation, hygiene and cleanliness, texture of the food, and cooperation between team members. At the end of the event, closing ceremony was closed by the prize giving for winner. Indonesian team was announced to be the 1st winner, then Bangladesh and India respectively became 2nd, and 3rd winner. 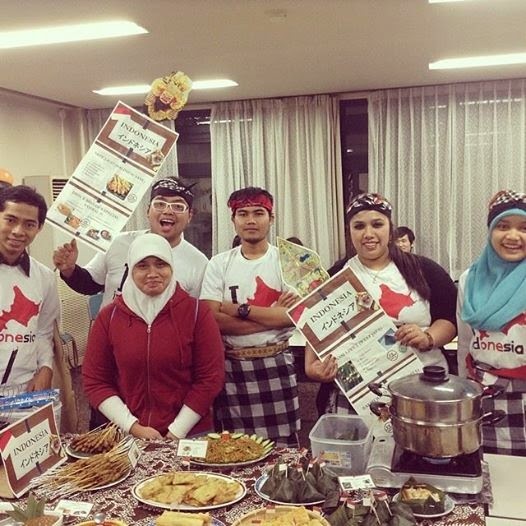 Some professors said that Indonesian team not only served the delicious food, but also could adapt the Japanese styles (Maybe what they means Japanese styles are presentation and hygiene). Several friends also said that they really liked the Sambal, it was really spicy and hot but very tasty. 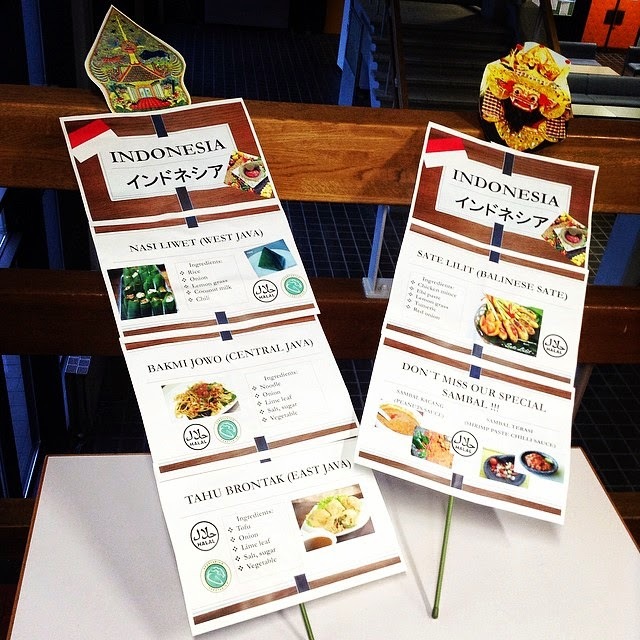 Hopefully, Indonesian food can be accepted by international world. In the next opportunity, maybe we will introduce the other Indonesian food such as Dendeng Balado, Pempek Palembang, Coto Makassar, Sop Buntut, Sop Kaki Kambing, Gado-gado, Lotek, Ketoprak, Gudeg, Nasi Gandul, Tahu Gimbal, Tahu Pong, Pindang Serani, Rendang, Woku Belanga, Pallu Butung, Pisang Ijo, Getuk, and Tiwul.